This bedspread is easy to put on and remove from the bed. 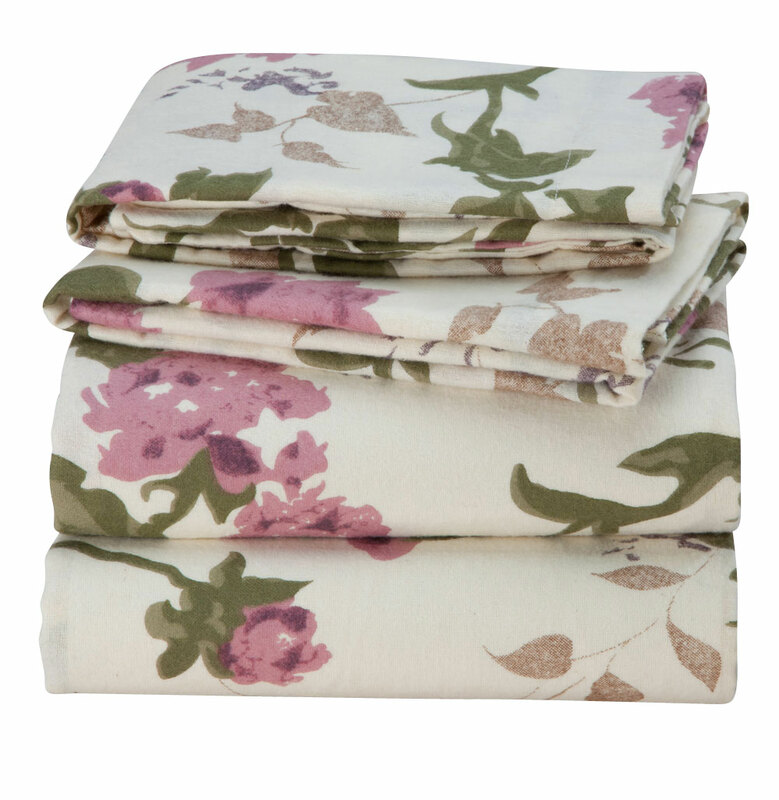 I love this bedspread and the shams. Beautiful, light weight, and perfect for me. Remember it is PERFECT......... for warmer weather! Not so great in chilly weather, someway II didn't catch that when I ordered even though it plainly says that it is light weight perfect for warmer weather. Love the colors and the ease of cleaning. This bedspread is exactly what i have been looking for.. It is hard to find a bedroom set that is romantic looking with lots of ruffles...will be using for summer time.. I have purchased the whole set...bedspread, shams and curtains in the yellow rose pattern, which yellow roses are my favorite after pink..lol..may order the pink set later.. Since it is thin , which it is supposed to be , i got a light weight white lightweight blanket to use under it.. This is a great purchase girls..don't hesitate..you will love it..!!! Thanks once again for such a beautiful product/products ..!!! bit girlie-girlie...but, that's what I am! They wash and dry beautifully! This is just what I needed. I can use it year-round, even in Wisconsin as my blanket is down filled. 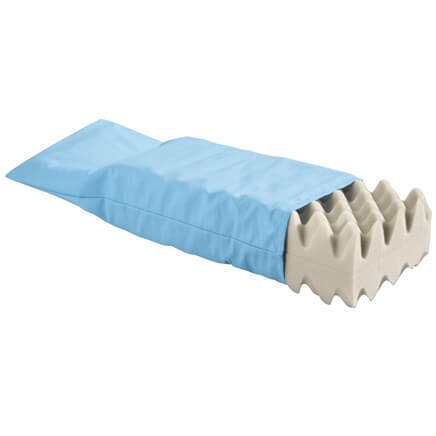 This is the prefect companion for it and for any person who isn't always freezing and doesn't need a pile of quilted and stuffed bedding. I also love the pattern and since it's poly-cotton, it's a snap to wash and dry. Just what I have been looking for in a bedspread for the summer months. 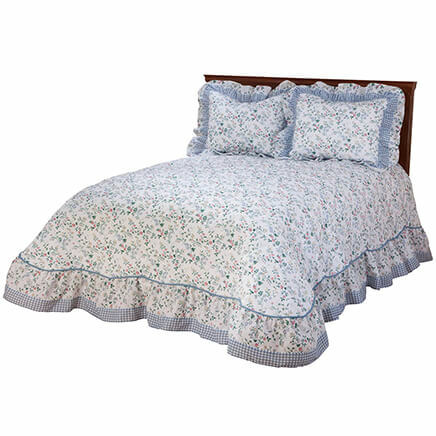 This bedspread is made of lovely fabric, and hangs generously even from a higher bed. It is light weight and just perfect for warmer season. I already have the curtains and have washed them so I know they come out just right. The color is true to the advertising and very attractive. I have no negative comments at all and am very satisfied with this product. I purchased the yellow rose plisse bedspread, and it is beautiful. It really brightens up my bedroom. The quality is very good. I did good on this purchase, thanks to you. I bought this bedspread to go in the bedroom of a new house I just bought. The walls are orchid and this pattern blended very nicely. The bedspread is very lightweight and plenty large enough to cover my queen bed perfectly. The perfect accessories for my new bedspread! Had finally found the bedspread that I was searching for and now found the shams to match. 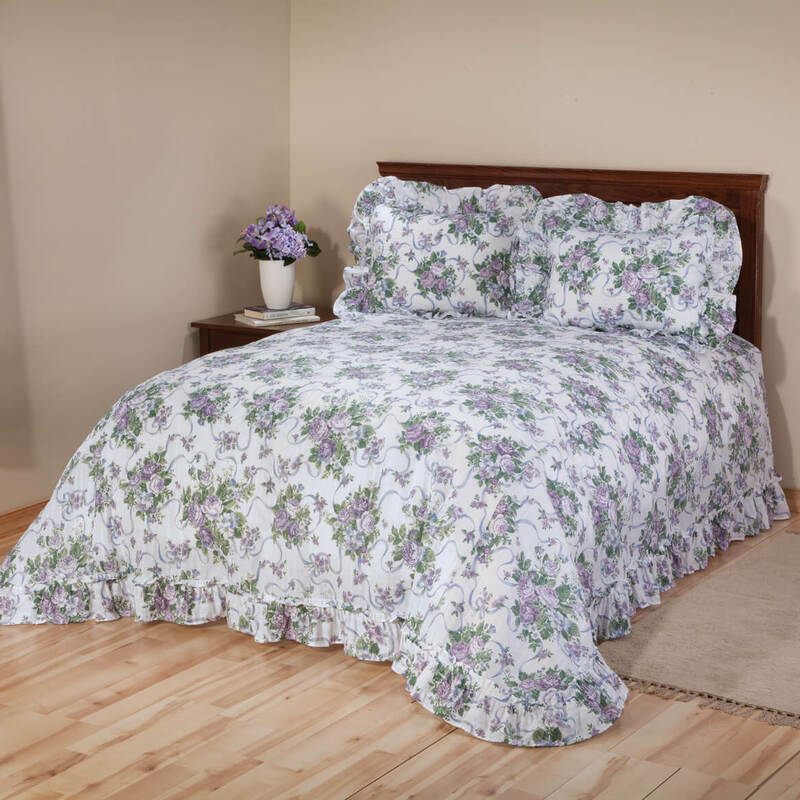 This pretty little bedspread is ideal for most bedrooms that you want to add femine touch to. It doesn't seem to show wrinkles and fits my bed perfectly. I think it was a good buy and the free shipping at the time made it even nicer. Can't seem to find plisse breadspreads in the stores. Very Pretty and washed well. I liked that it was light weight and very easy to wash and dry. I brought it in yellow for my guest room and it was very pretty. You should inspect this spread more carefully before shipping. I found a place on the bottom corner where the ruffle was detached from the body of the spread and showed a torn spot on the ruffle. Because I was so pleased with the spread, I sat with a needle and thread and repaired the area by hand. However I was sorely tempted to return it to you, but thought perhaps I would run into something similar on any new spread. Otherwise, this spread met our expectations very well and we are pleased with it. I only hope my "repair" will withstand future use and washings. WAs disappointing to discover a partial area of ruffle was not sewn to the bedspread. I hope the replacement is properly sewn, as I do like the spread. Unhappy. Saw this spread on a discount catalog front page offering big discounts. Not found within the catelog. Called and had to be ordered at full price. Then told the shams were full price but I could order them for 10 percent off. Will never order from this company again. But it was too small for the bed. Just plain skimpy sizing. The main thing I had problems with Miles Kimball was their SLOWness of operation. I paid for an order which I didn't keep one 5/22. Today (6/5) they said neither the payment nor the order-return had been received. They said it takes 4 weeks +/- to process a return once it was received. I was really looking foward to receiving this bedspread because I liked the design in the yellow however when it arrived I was very disappointed with the quality of this bedspread it was more like a bed sheet not at all worth the price I sent it back. I was really looking forward to getting this bedspread and matching shams and curtains! When it came, it was just poor quality and very thin. It looked and felt like it was seersucker material. (The kind that looks wrinkled.) It was not attractive at all. I returned it. Also the box it came in was all ripped. I had to buy a new box to return it in! I was very excited to see this bedspread. However, upon receipt of the merchandise, was shocked to see how thin the bedspread is. "Light and airy" for a bedspread does not translate to tissue-paper thin from my perspective. Very disappointed in the quality and now have to surrender $7 shipping to send it back. Nice spin Miles Kimball! I use the product as a bedspead. the size is right for my needs. I would have preferred blue but was not available . Yellow will work as well. I am treating myself to roses everyday I wake up....I deserve this after 5 children and 10 grandchildren!!!!! Same as above. The old fashioned look from my childhood. I have been looking for a bedspread with roses tor a long time to no avail. Wow, I found one. Thank you so much. The color matched my room. Is light for summer. I loved that it came in yellow!! Yellow is hard to find right now. Yellow is an uplifting color, especially in winter. So for people who love yellow as a color to decorate with, this is great! The design of the comforter. It is the color that I wanted, and I was not able to find it anyplace else. 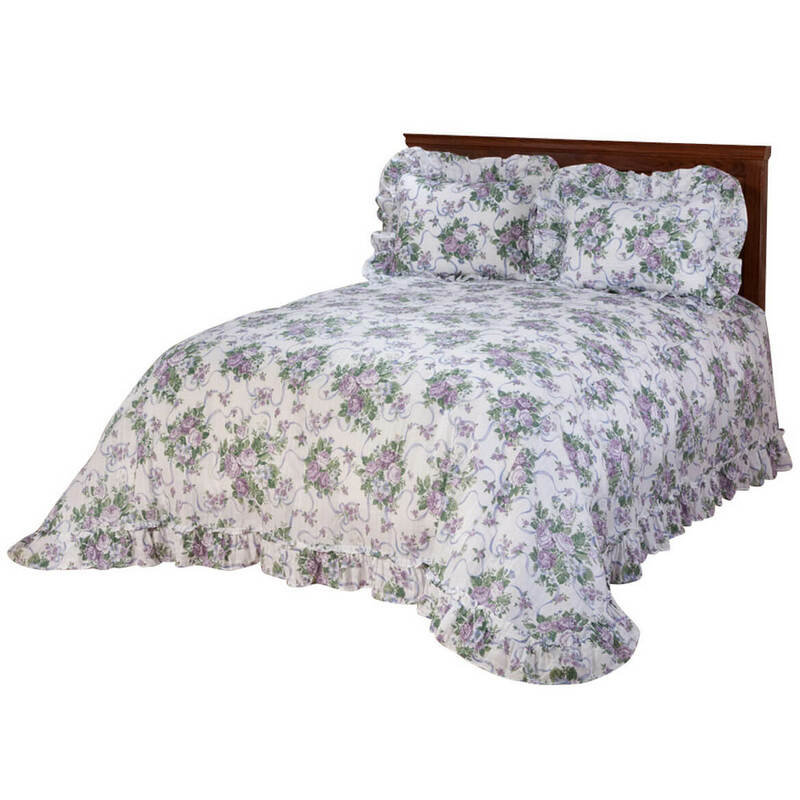 This bedspread is the right size and covers the whole bed including the sides. It washes well and I wash it often. My dog sleeps on the bed so I need something that that is completely washable. I love roses and the bright color. My old bedspread was getting old and faded and I wanted to buy something bright and cheery light for summer. Needed a new bedspread that reached to the floor. My mother's choice for her room. It looks very nice. It also looks like it doesn't need a skirt to go with it. As a senior citizen I find it hard to move the mattress so I could put a skirt on the spring. lite weight for warmer weather. I know it's a bit old-fashion. But, it's for an old-fashion lady. She loves It!!! it is similar to a spread I have, that is getting old. I liked it and it matches my bedroom. To match the pillow shams. Lightweight spread is great for hot summer nights. Pretty colors for a woman's bedroom. Do the shams and bedspread come together? BEST ANSWER: I did not get shams with the bedspread. I believe those are sold separately. Will the 63" yellow curtains be restocked? BEST ANSWER: Thank you for your question. The color yellow is currently in stock. We hope this information will be of help to you. Still do not see the 63" curtains on the bedding page. Still waiting to hear if the 63" yellow curtains will be available. Does this order include the pillow shams? can i get shams to match ? BEST ANSWER: Thank you for your question. 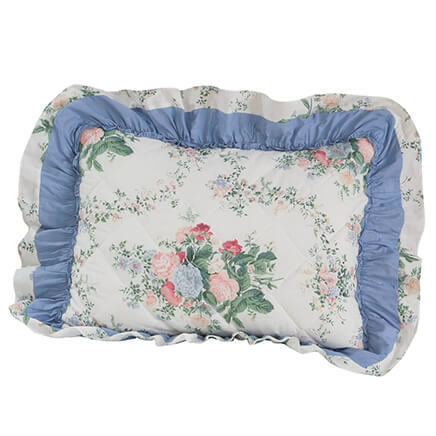 Yes you may if you go on our website and search for Ribbons and Roses Floral Shams the item will come up. We hope this information will be of help to you. 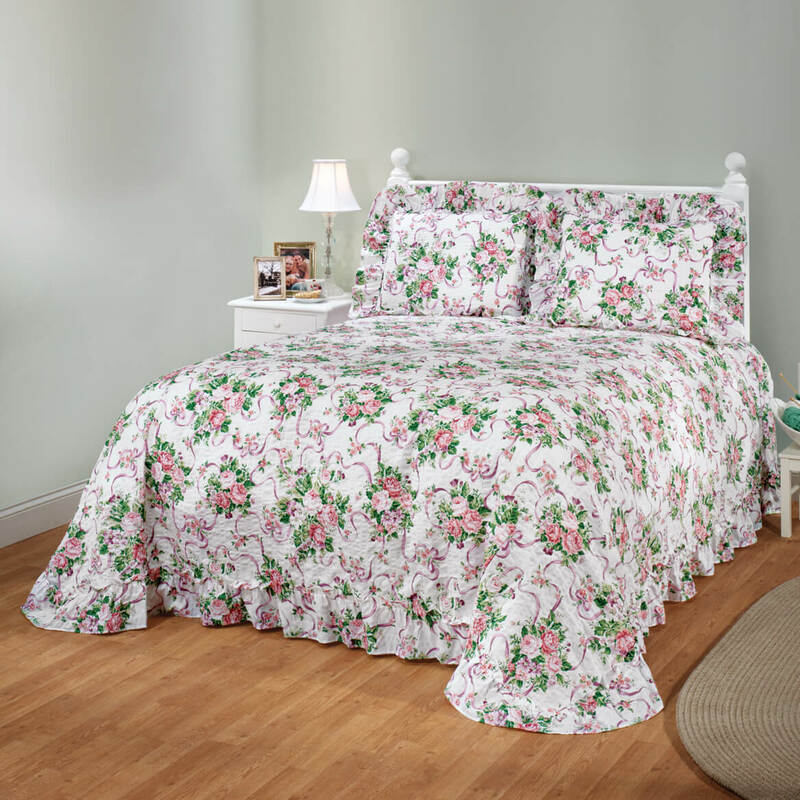 I recently ordered the Ribbons & Roses Floral Plisse Bedding 345203 in Pink (#630). I got the bedspread but the pillow shams did not come with it. Aren't the pillow shams suposed to come with the bedspread? BEST ANSWER: Thank you for your question. The shams are sold separately. 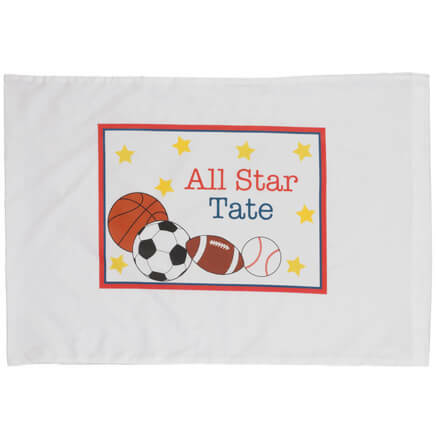 You may place a new order for the shams if you would like. We hope this information will be of help to you. BEST ANSWER: Yes they are sold separate! Do shams come with bed spread 345203? BEST ANSWER: Thank you for your question. No the shams are sold separately. We hope this information will be of help to you. BEST ANSWER: Thank you for your question. The matching curtains are no longer available. We apologize for any inconvenience. How do I order the curtains?? BEST ANSWER: Thank you for your question. The curtains are on clearance, item number 345205, 84" curtains in yellow and rose are all that are available. We hope this information will be of help to you. BEST ANSWER: Thank you for your question. The shams are available #345204. We hope this information will be of help to you. I ordered a bedspread in a size Queen. i just received it today, and, it is short on the sides. I was wondering if a King would fit better, but, I can't seem to find measurements on any of the sizes???? I would like to know the measurements of a Queen. and. King size. on the Ribbons and Roses Floral Plisse. Thank you! BEST ANSWER: Thank you for your question. The Queen is 118" long X 106" wide and the King is 124" long X 118" wide . We hope this information will be of help to you.